Our colour dipped high stools are bang on trend. Great for breakfast bars. Available in any colour. Can be shortened to required height. All the Rectory Blue range is painstakingly hand painted and finished. This is carefully done to create character and makes each piece unique. A natural wax is then applied to give a beautiful and durable finish. 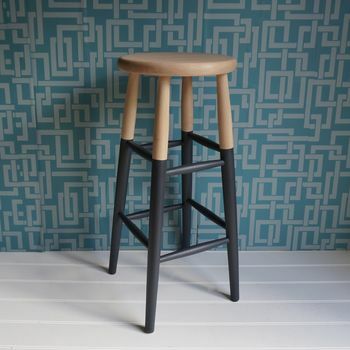 These trendy stools are painted with a colour dipped effect in any choice of colour. 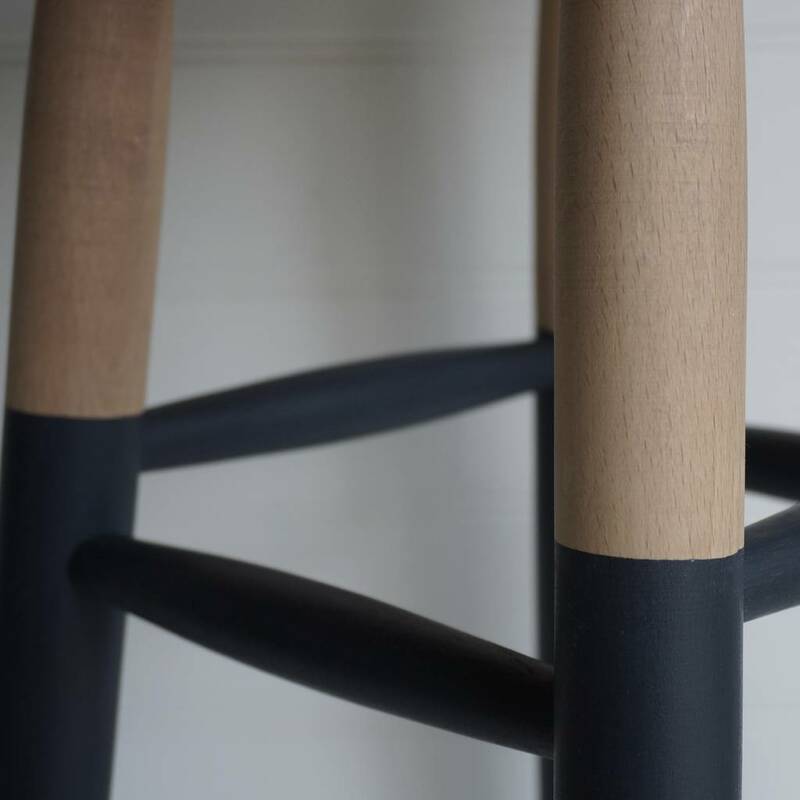 The kitchen Stool is made from solid beech wood and is hand painted with a colour dipped effect in the colour of your choice. 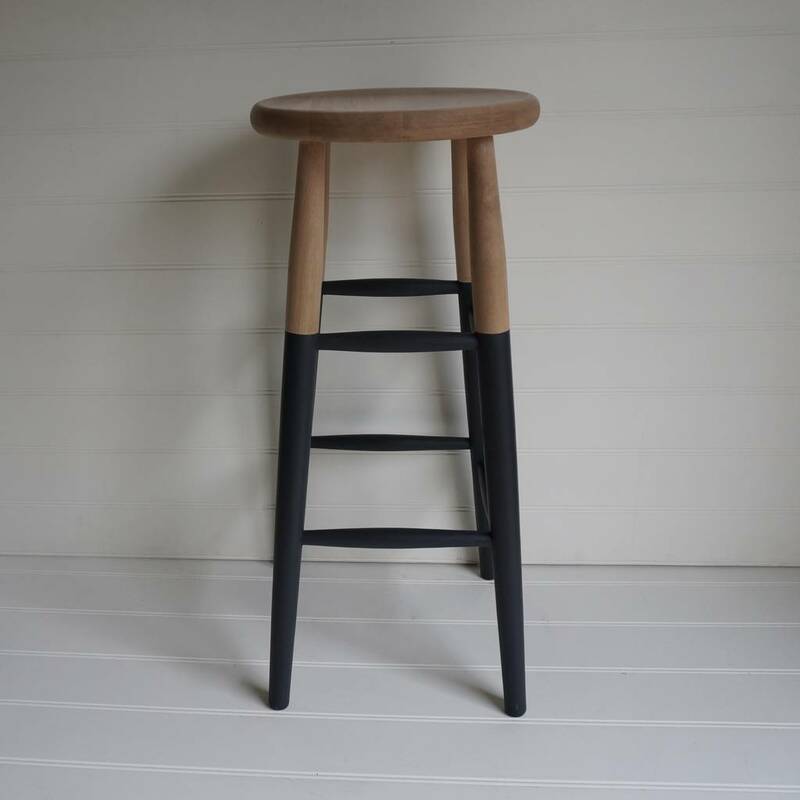 High Stool H:76cm, Seat Width: 33.5cm x 33.5cm ( we can shorten it for you if required). Low Stool H:52.5cm Seat Width: 30.5cm x 30.5cm.